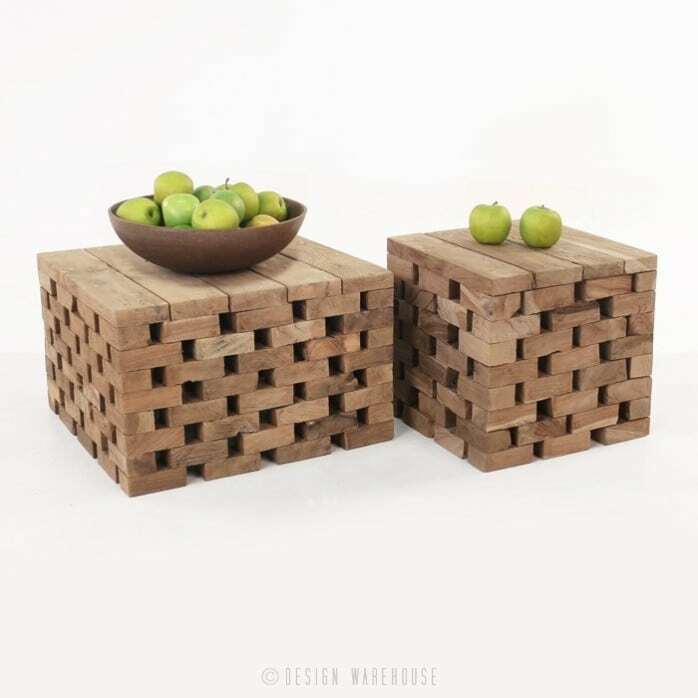 A complex and beautiful piece, this accessory table is made from beautiful uniform (but uniquely textured) blocks of teak wood, which are formed into a brickwork type pattern with spaces in between for a unique play on depth and individual character for each of the blocks. The resulting puzzle-like structure offers a solid feel. 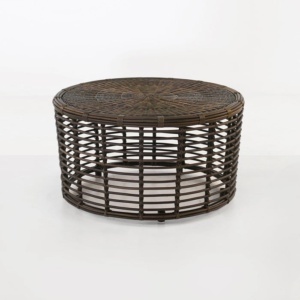 The small table offers a little footprint, so you can accessorize with other pieces if desired. 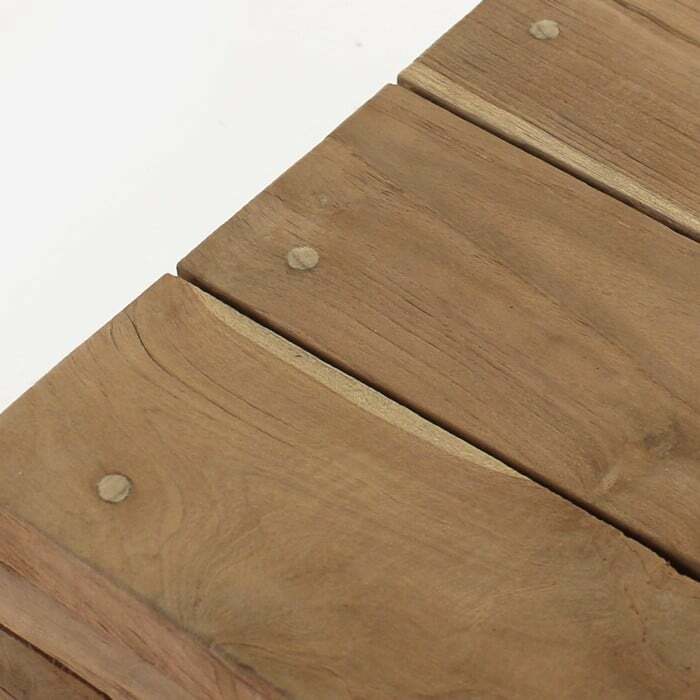 It is naturally finished reclaimed teak wood that makes up this seemingly sophisticated marvel, and it is suitable for outdoor use. 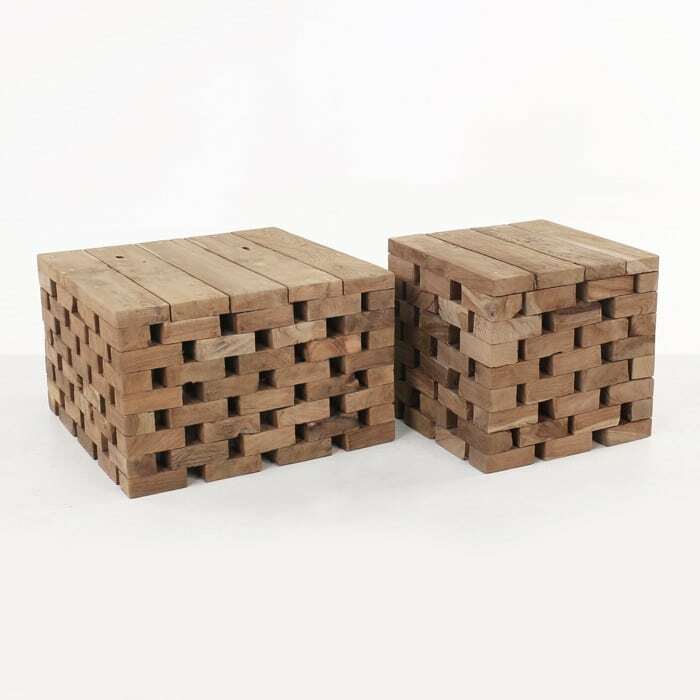 The larger of the two puzzle tables, this piece is a standalone work of art and is the perfect size to suit any space and features a gorgeous brick-like structure made from reclaimed teak wood. It is uniform, but certainly maintains its individuality; modular and blocky in composition, it is still unique and purposefully built not to be perfect, these pieces are arranged to play on their textures and the layout of the table, to enhance the depth of character each piece of teak blocking has, while celebrating the gorgeous full composition of the table. 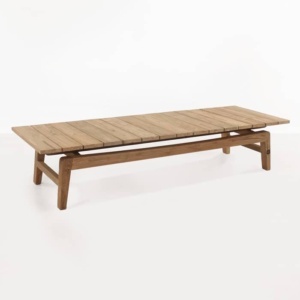 Completely capable of outdoor full-time use and a beautiful accessory piece or main coffee table, this piece is stunning in its build quality and appearance.